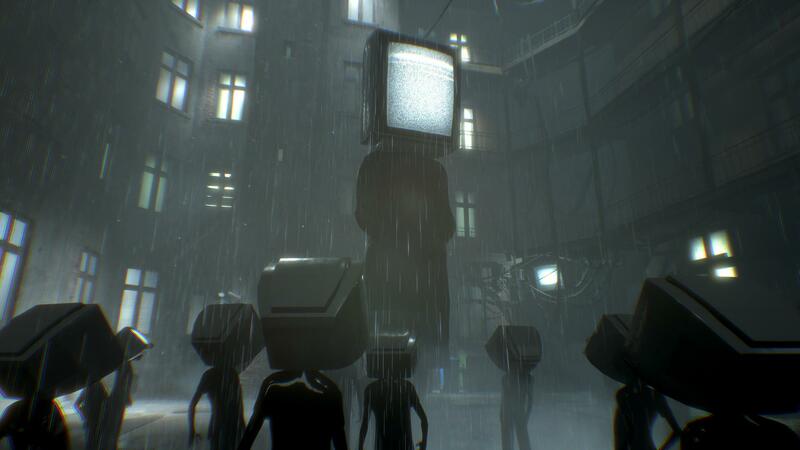 I was mesmerized by the graphics of Observer. I know there are much better looking games such like some PC games, but for PS4 this is beautiful. I wanted to play Observer for so long but I never did until now. 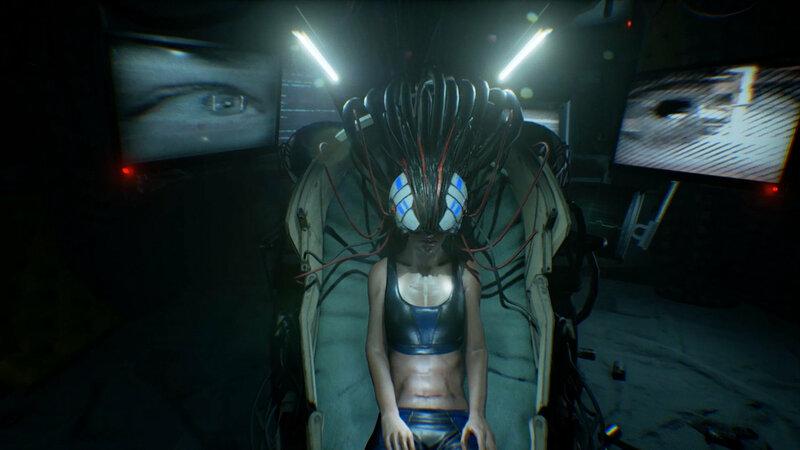 Observer is same indie developer, Bloober Team, that made Layers Of Fear game (I gave it 4/5). 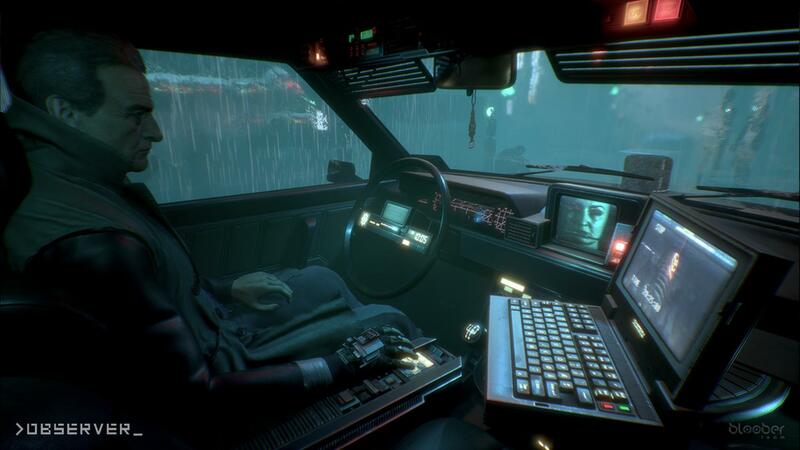 I just found out that Observer was as physical copy but it was Limited Run game and of course they were all sold out. I always want to collect great games to my video game shelf and this would definitely be there. Observer tells story of the year of 2084 and how everything is fucked up at then. There was a war and some virus outbreak and everything is basic dystopia-like you can imagine. Observer, Daniel Lazarski, is middle-aged man who goes after his missing son after he got a call from him. Daniel is led to the apartment building. In 2084 people are living mostly indoors and doors, not only locked, but shut down with a little monitor with communicating outsiders. As Daniel goes investigating he finds out more and more of his son and many other things that took place in that building. 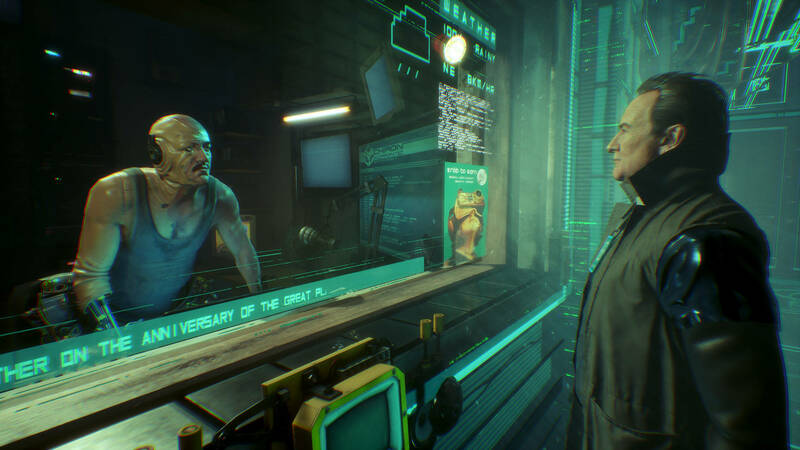 Observer occupation is like a crime scene investigator but with high tech. Player can scan technology nearby or biological matter. Other thing what he can do is wire up himself to the other human (dead or alive) and see person’s life/nightmares/traumas/good/bad things. Those are like little games of their own because player always have to find the way out of the person’s mind which can be difficult since everyone has their own mind and realities in it. When entering into someone’s mind, the place is very much like dream or nightmare where anything could happen at any moment. I mean ANYTHING. It was great to see things that were only used once so the game didn’t felt copy–paste at all. Observer being played as first person view I found it to be the most optimal for the game. I don’t usually like first person games but this must. No arguments with that. 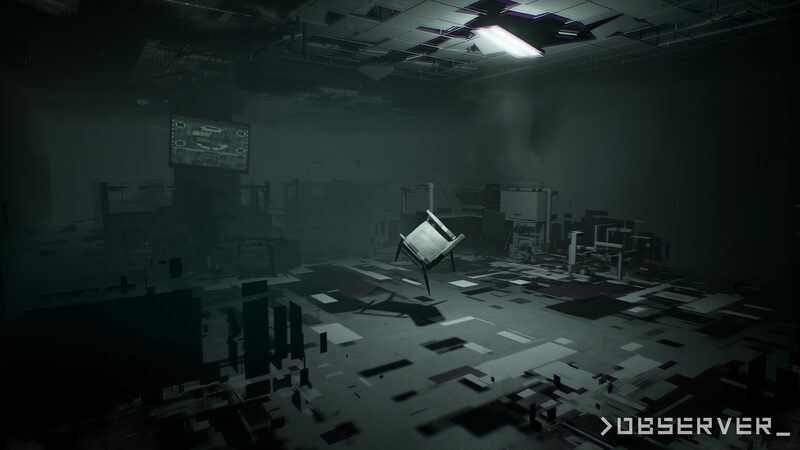 I like how detailed Observer is and all the effects it includes graphically. I’m not graphic designer, but I know lot of basics how graphics are made, but with this I just kept wondering how the hell they did most of the things. Bloober Team is small developer and I have to rise my hat for the respect how polished and unique their game is. I honestly can’t say anything negative of graphic–wise. This is the quality I am expecting from PS4 games. Many PS4 game have terrible graphics when they could pull of something like this. It don’t need to be AAA -studio with 50 million budget when talent is something that can’t be bought by money. The level design itself was outstanding and technically perfect. I didn’t encounter any bugs. Graphically the game is exceptional and many say video games are art — Observer is artistically like no other. As what comes to the sound Observer is full of everything you could imagine of. The situations changes so much that it made me wonder how much developer had to record sounds and effects because many times some sound was just used maybe once. Being someone’s mind is difficult to get out of. Imagine of being in your own psychedelic weird dream where nothing makes sense, not even laws of physics, and you have to find the way out of there. It was like Inception but much more vivid and dark. Observer does not have any health system but what player have to do is to use medicine to keep Daniel on the track. The medicine is for Daniels strain level (apparently he is infected) and he’ll get disoriented if medicine is not taken properly. After playing Observer I thought what I remembered about the game and there was no certain thing or places I could think of. That is good think because it tells that the game was diverse. At least one playthrough this is must and I’m very pleased that I played another Bloober Team’s game that left good taste in my mouth. If I have to show one picture of what the game is all about I couldn’t do it because this indie game is everything you could imagine of. That’s why I added trailer of it below.